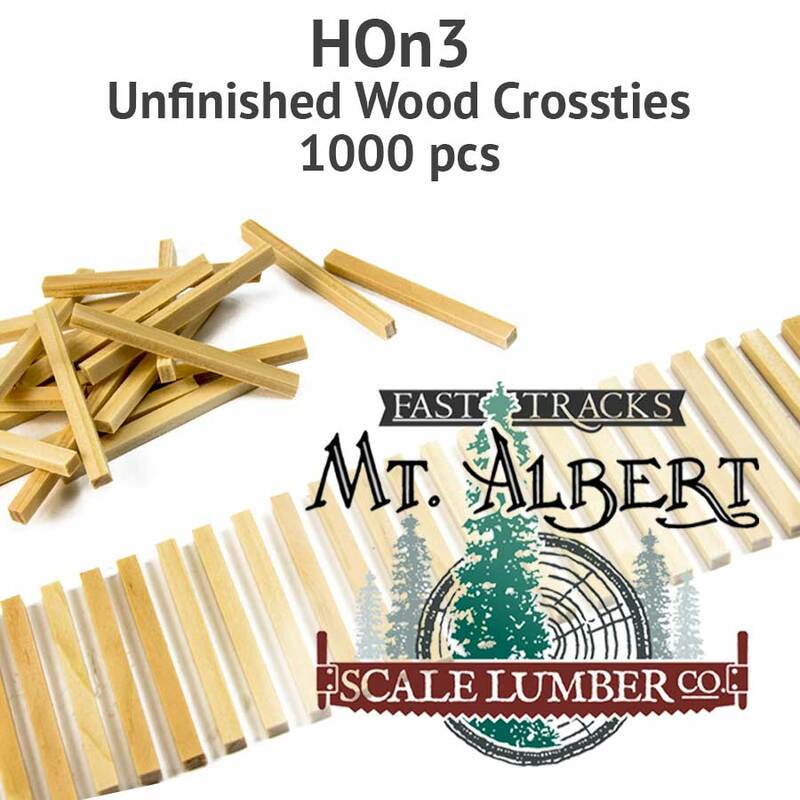 Unfinished HOn3, 7' (2.1m) white pine wood cross ties are custom cut for Fast Tracks by Mt. 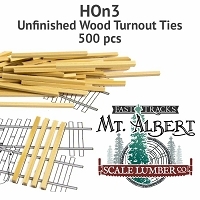 Albert Scale Lumber and are a perfect match to our QuickSticks and wood turnout ties. They can be used for laying straight and curved trackwork throughout your layout. these crossties are outstanding they fit perfect in the jig and look great. Another great product from Fast Tracks ! If you have make your own turnouts then laying your own track is fun an relaxing. Laying rail on a combination of these wood ties and pc ties allows for precisely gaged rail. 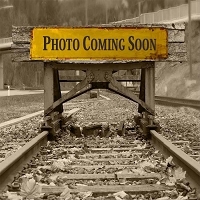 These ties hold spikes well and, onced glued to the roadbed can be lightly sanded for a uniform surface. HOn3 Cross Ties 5x7 - 7 Feet Long (0.057 x 0.08) 1000 ties per bag.